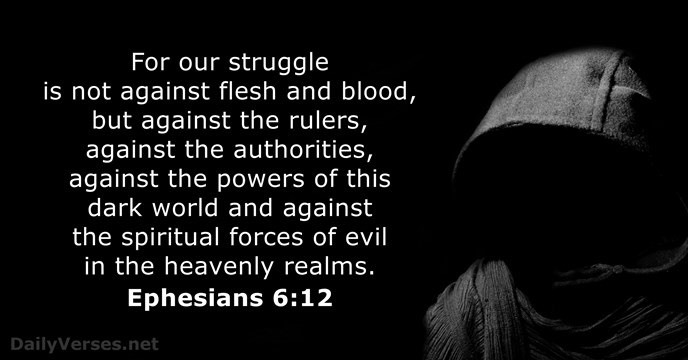 …we are not fighting against flesh-and-blood enemies, but against evil rulers and authorities of the unseen world, against mighty powers in this dark world, and against evil spirits in the heavenly places. Let us not settle for spirituality-lite, where we seek ‘feel good’ spirituality that kills the life of God within us. When this happens, we will use the labyrinth instead of the Stations of the Cross, astrology instead of the Rosary, and tarot cards instead of Eucharistic Adoration. It is the Blood of the Lamb that redeems us! Dear Lord God, Abba Father, Jesus my Savior, thank You for today and all Your blessings and answered prayers. I ask that You awaken us to our real enemy and teaching us the truth in Your Word and giving us the confidence that is ours in Jesus. In Jesus name I pray. Glory be to the Father and to the Son and to the Holy Ghost; as it was in the beginning is now and ever shall be, world without end. Amen.